So as of Wednesday evening, we’ve been socked with a foot of snow and another five to ten inches expected over night. Part of me is thankful I have a job that enables me to stay inside during such weather, and part of me wishes I could take a snow day too. 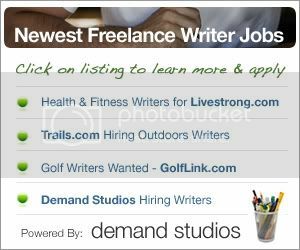 Are You a Hunter or Gatherer When it Comes to Finding Freelance Writing JObs? Don’t forget to take the freelance wriitng jobs community survey.